It’s no secret that the iPhone is capable of taking impressive photos — some might even be award-worthy. Thousands of photographers spanning over 140 countries around the world submitted photos to the 11th annual global iPhone Photography Awards (IPPAWARDS) — and the winners have officially been announced. Launched a little while after the first iPhone was released, the IPPAWARDS is the first and longest-running iPhone competition in the world. All submissions are taken using either an iPhone or iPad, but can’t be published anywhere other than personal social media accounts. While the photos can’t be altered using software like Photoshop, photographers are allow to use any iOS apps. This year’s winner of the grand prize for the iPhone photographer of the year was Jashim Salam of Bangladesh. 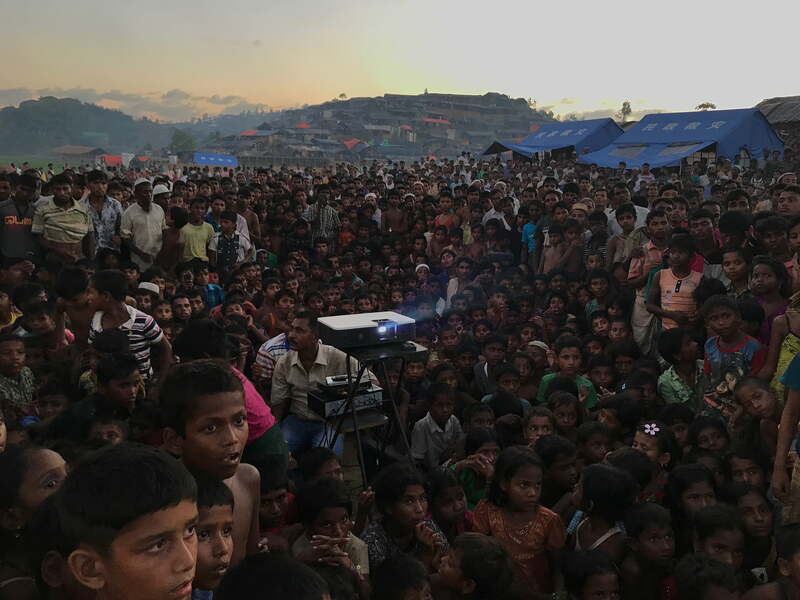 The photo, titled ‘Displaced,’ was taken on an iPhone 7 and shows a group of children watching a film on health and sanitation near a refugee camp in Ukhiya. First place goes to Alexandre Weber of Switzerland, who snapped a shot of a woman in Salvador de Bahia, Brazil. 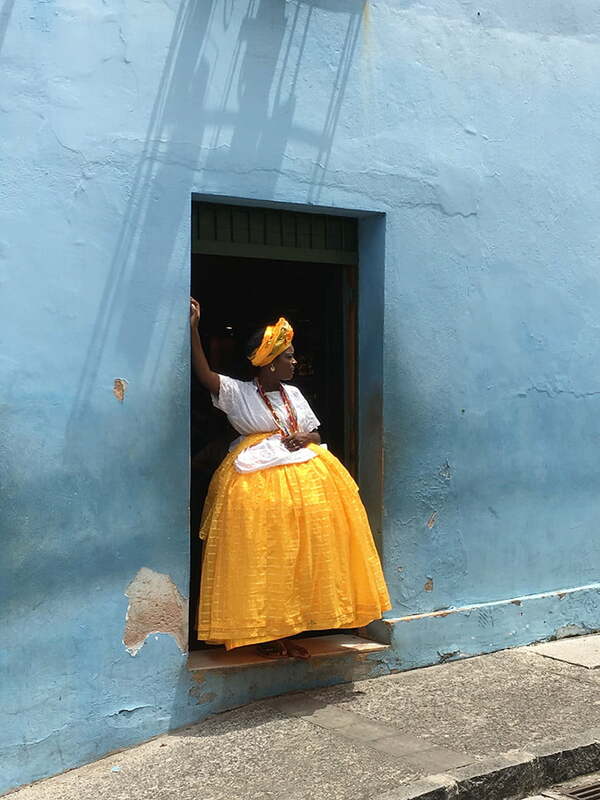 Taken on an iPhone 6S, Weber explains the bright and colorful shot was taken ‘spontaneously after a truck drove by.’ The woman in the photo wears the traditional clothes of a “baiana,” as she leans against a wall while on her work break. Photographer Huapeng Zhao took second place for his photo titled ‘Eye to Eye,’ taken on an iPhone 6 in YanTai ShanDong province, China. 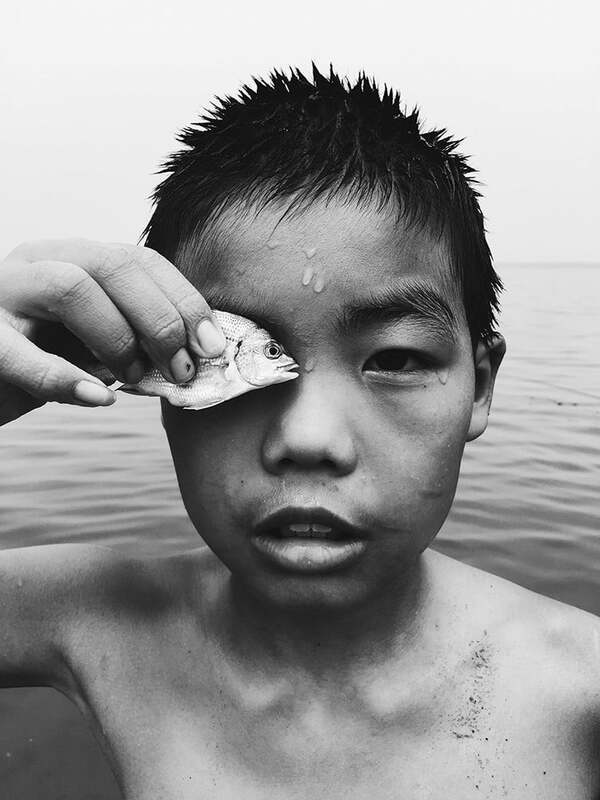 The black and white photo shows a young boy in open water who, as Zhao explain, put a fish he caught in front of his eye right before the photo was taken. 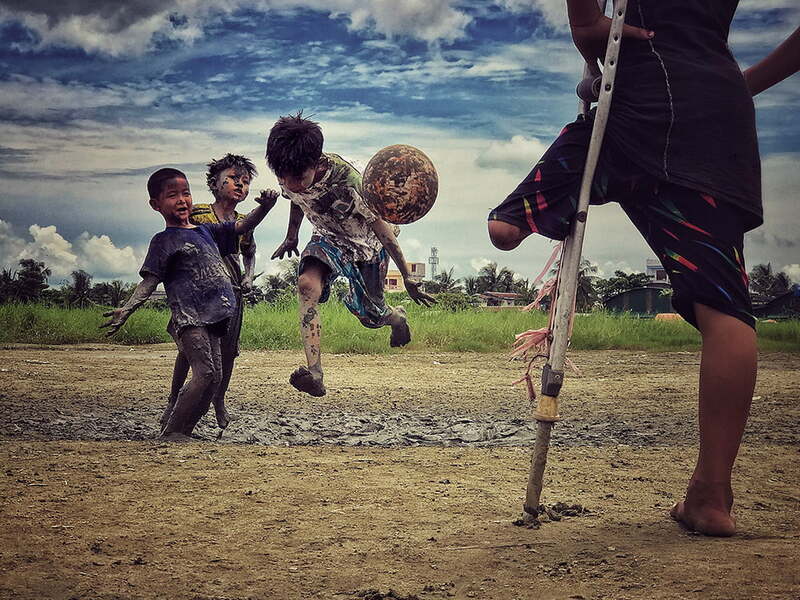 Snagging the third place spot is Zarni Myo Win for his photo titled ‘I Want to Play’ — showcasing a young boy who lost his leg was watching his friends play soccer. The powerful shot was captured on an iPhone 7 in Yangon, Myanmar. In addition to the winners of the iPhone photographer of the year, the contest also awarded top three photographers in 18 different categories. The winners represented a variety of countries around the world including Australia, Ecuador, Russia, the United States, and more.